Bill Bates didn't pitch very long in this June 1990 game, but he came away with the win, according to The Deseret News. Bates came in with two outs in the third inning, one of five Idaho Falls to take the mound against Salt Lake. Bates pitched to a total of four batters, including getting out of a bases-loaded jam, The News wrote. Bates' appearance ended up not being the only brief thing for the Michigan-native hurler. His professional career also ended up being brief. He got into 21 games for rookie Idaho Falls that year. He didn't return for a second season. Bates brief career began and ended in 1990, signed by the Braves as an amateur free agent out of Eastern Michigan University. At Eastern Michigan, Bates went seven innings, giving up two singles in an April 1989 win. 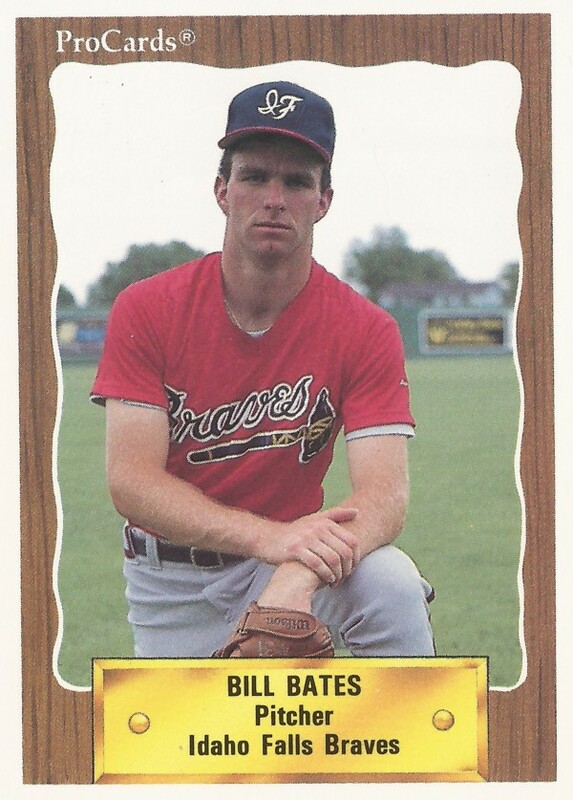 With the Braves, Bates played his single pro season at Idaho Falls. He got into those 21 games, starting seven. He went 2-4, with a 5.44, striking out 62 batters. Those numbers marked the extent of his time as a pro.